here's another exciting give away for you! With all the sun shining lately, Shark Attack and Flipit decided to team up and update your spring and summer wardrobe. 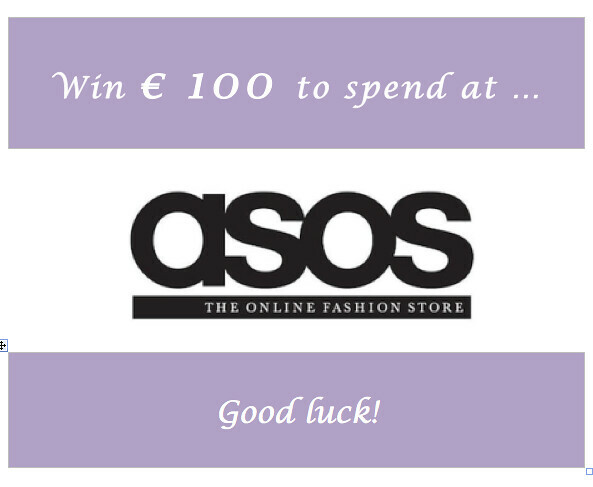 We are giving away € 100 to spend at Asos! Flipit is an online platform that offers discount codes and promotions for tons of brands -- just think about Nike, Zalando, Ici Paris XL, Groupon and Asos, of course. These are just a handful of the tons of brands Flipit is teaming up with. Since I know Asos is everyone's cup of tea, we thought it would be nice to surprise one of you with an exclusive code worth € 100! If you're interested in other discount codes that they are offering, just surf to Flipit, scroll down, select your country and discover which advantage there is for you to gain. It literally is just that simple! Now, what do you have to do to enter this give away? The give away is open world wide and will end on 17 April 2014. The winner will be chosen randomly and will be emailed by me with the € 100 code. If you A. don't win or B. are an Asos addict, then A. don't worry since there will be other give aways in the future and B. discover which discount (for example) Belgian users are getting HERE. YOU CAN NOT PARTICIPATE IN THIS GIVE AWAY ANYMORE. Oh oh, schone prijs! 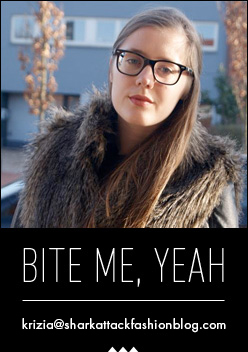 Ik doe mee, aupaysdesmerveillesblog(at)gmail.com! ohhhh need this so badly! Wat een geweldige giveaway! Asos is by far mijn favoriete online shop, zoveel leuke kleren bij een die je niet overal kunt krijgen. Love it! Ik volg je blog al langer via FB en heb de andere page ook geliked! Wow, geweldige give away. Love asos! GE-WELDIGE giveaway, did every step :-). Asos-lover over here :-). GE-WELDIGE giveaway, did every step :-)! Asos-lover over here :-). Asos is my absolutely favourite store. It would be awesome to win. I wanna win it, so badly...thanks for the opportunity! My name is Ekaterina, email: Ekashilko@gmail.com. This is an awesome give away! i love asos! Dit is écht wel een vette giveaway, dus ik doe met veel plezier mee :-). Tzal wel zijn dak meedoe :D!!! Ik doe graag mee, love me some Asos! Big fan (and big client!) of ASOS here, hehe! Super great prize!! Thanks a lot for this contest! Keep on moving with this blog, it's wonderful! Great giveaway!!! I love ASOS & your blog!!! One of the best giveaways ever if you ask me :D big asos addict over here! Woooop! Wie wil er nu geen mooie bon van ASOS winnen? Joepie, ik doe mee want kan deze wel heel goed gebruiken! Ik likete jouw pagina al, en heb die van Flipit nu ook geliked! Wow! So fabulous giveaway! @ I would really love to win and spend the voucher to buy fashionable and trendy items that ASOS offers at affordable prices!